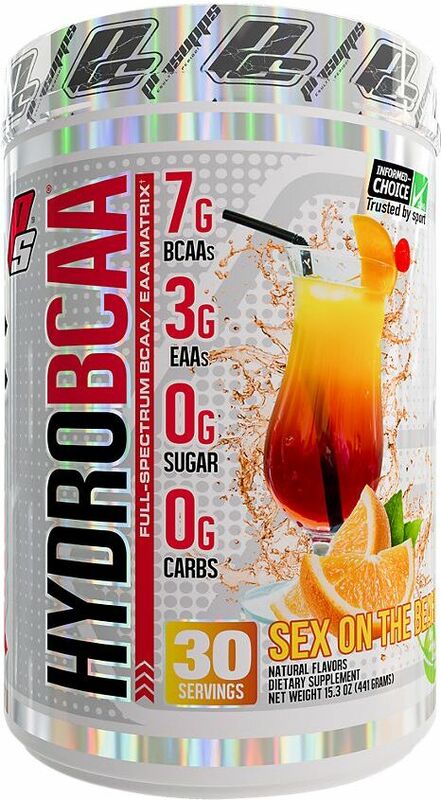 As a dietary supplement, mix 1 scoop (14.5g) of HydroBCAA™ with 8-10 fluid oz. of cold water. HydroBCAA™ can be consumed prior to training, during training and after training for maximum efficacy. This product is only intended for healthy adults, 18 years of age or older. Do not use if you're pregnant or nursing. Before using this product consult your physician. If you are using any prescriptions or over the counter medication, or if you suspect you have a pre-existing medical condition, including but not limiting to: high or low blood pressure, heart disease, thyroid disease, diabetes, difficulty urinating due to prostate enlargement, discontinue use and consult your health care professional. If you experience any adverse reaction to this product discontinue use. Do not use if safety seal is broken or missing. Store at room temperature. Keep out of reach of children. Store in a cool, dry place, content sold by weight not volume; some settling may occur. Protect from heat, light, and moisture. Citric Acid, Natural Flavors, Sucralose, Silicon Dioxide, Beet Root Powder (for color), Acesulfame Potassium. Citric Acid, Natural Flavors, Sucralose, Silicon Dioxide, Acesulfame Potassium, Beet Root Powder (for color). Citric Acid, Natural Flavors, Sucralose, Acesulfame Potassium, Beet Root Powder (for color). Citric Acid, Natural Flavors, Sucralose, Silicon Dioxide, Turmeric (for color), Acesulfame Potassium, Beet Root Powder (for color). Citric Acid, Natural & Artificial Flavors, Calcium Silicate, Sucralose, Silica, Acesulfame K, Soy Lecithin, FD&C Yellow #5, FD&C Blue #1. Dec 05, 2017 ProSupps HydroBCAA: A BCAA with All the Essentials! ProSupps has reformulated their amino acid / hydration formulation HydroBCAA to now include all of the essential amino acids (EAAs). Essential amino acids, more commonly known in short as EAA include the 8 amino acids Methionine, Lysine, Phenylalanine, Threonine, Tryptophan as well as the 3 BCAA Leucine, Isoleucine & Valine. They are all considered ͚essential͛ as the body can͛t produce them on its own and are responsible for a variety of functions. Included in such is stimulating the production of cellular energy and promotion of cellular repair, initiation of the creation of the critical enzymes necessary for healthy (and complete) digestion, preventing muscle breakdown during periods of intense physical stress, and the enhancement and protection of the mitochondria. Miami Vice This is a Buy 1 Get 1 FREE offer! Pink Lemonade This is a Buy 1 Get 1 FREE offer! Texas Tea This is a Buy 1 Get 1 FREE offer!